Program Description (Grade Level Program): 860 MOVEMENT formed in 2017 as a celebration of the underground dance community and the next generation of hip-hop dancers from the surrounding region. 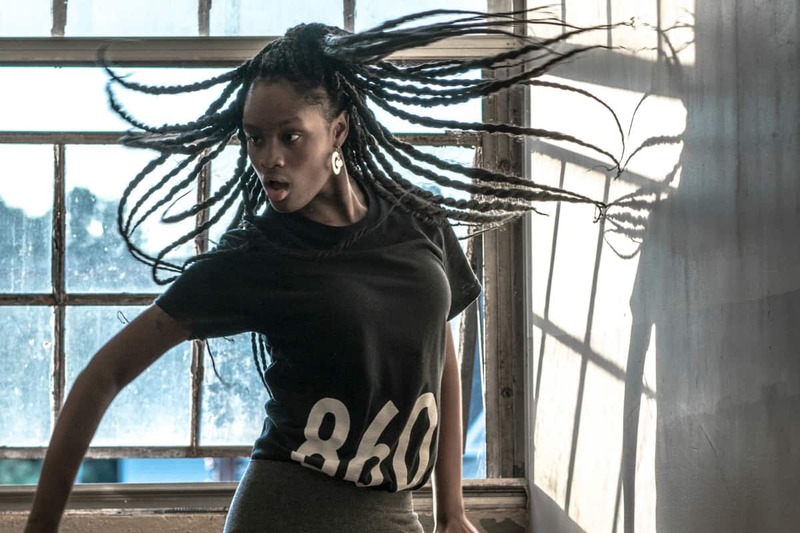 860 MVMNT is an all-styles street dance collective, under the direction of Jolet Creary, artistic director and owner of STUDIO 860; the troupe implements original street dance in collaboration with contemporary styles of hip-hop. Their performance features dancers from Studio 860 in Hartford, CT, a studio specializing in hip-hop, popping, krumpand b-boy styles. 860 MOVEMENT displays the raw, intense energy of these genres through choreography, improvisation and a unique approach tostorytelling. Grade 1: Responding: Anchor Standard 7: Perceive and analyze artistic work. a. Find a movement that repeats in a dance to make a pattern. b. Demonstrate and describe observed or performed dance movements from a specific genre or culture. Grade 1: Responding: Anchor Standard 8: Interpret intent and meaning in artistic work. a. Select movements from a dance that suggest ideas and explain how the movement captures the idea using simple dance terminology. Grade 1: Connecting: Anchor Standard 10: Synthesize and relate knowledge and personal experiences to make art. a. Find an experience expressed or portrayed in a dance that relates to a familiar experience. Identify the movements that communicate this experience. Grade 1: Connecting: Anchor Standard 11: Relate artistic ideas and works with societal, cultural, and historical context to deepen understanding. a. Watch and/or perform a dance from a different culture and discuss or demonstrate the types of movement danced. Grade 2: Responding: Anchor Standard 7: Perceive and analyze artistic work. a. Find movements in a dance that develop a pattern. b. Demonstrate and describe movements in dances from different genres or cultures. Grade 2: Responding: Anchor Standard 8: Interpret intent and meaning in artistic work. a. Use context cues from movement to identify meaning and intent in a dance using simple dance terminology. Grade 2: Connecting: Anchor Standard 10: Synthesize and relate knowledge and personal experiences to make art. a. Describe, create, and/or perform a dance that expresses personal meaning and explain how certain movements express this personal meaning. Grade 2: Connecting: Anchor Standard 11: Relate artistic ideas with societal, cultural, and historical context to deepen understanding. a. Observe a dance and relate the movement to the people or environment in which the dance was created and performed. Grade 3: Responding: Anchor Standard 7: Perceive and analyze artistic work. a. Find a movement pattern that creates a movement phrase in a dance work. b. Demonstrate and explain how one dance genre is different from another, or how one cultural movement practice is different from another. Grade 3: Responding: Anchor Standard 8: Interpret intent and meaning in artistic work. a. Select specific context cues from movement. Explain how they relate to the main idea of the dance using basic dance terminology. Grade 3: Connecting: Anchor Standard 10: Synthesize and relate knowledge and personal experiences to make art. a. Compare the relationships expressed in a dance to relationships with others. Explain how they are the same or different. Grade 3: Connecting: Anchor Standard 11: Relate artistic ideas and works with societal, cultural, and historical context to deepen understanding. a. Find a relationship between movement in a dance from a culture, society, or community and the culture from which the dance is derived. Explain what the movements communicate about key aspects of the culture, society, or community.